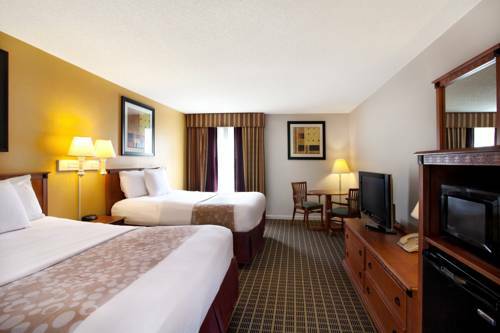 Experience the convenience and great location of our hotel in Orlando, Florida. Our hotel is conveniently located off Interstate 4 on International Drive close to many nearby restaurants and local attractions. The hotel is walking distance to the Premium Factory Outlets. It is also nearby all the major theme parks - Universal Studios, SeaWorld and Disney, Ripley's Believe It or Not, Wonder Works and much more. Our hotel offers Complimentary Shuttle to Disney and Universal Studios; our hotel is 3 miles to the Orange County Convention Center. Wake up on the bright side with our daily breakfast featuring waffles, hot and cold cereals, boiled eggs, bread, bagels, donuts, muffins, fresh fruit along with coffee, milk and juices. Feel recharged after a great night's sleep on our deluxe pillow top mattresses. Each inviting guest room is equipped with microwave, refrigerator, ironing board, hair dryer, free Wi-Fi and an HDTV. Wake up to freshly made coffee prepared the way you like in your guest room coffeemaker. Relax by our spacious courtyard and sparkling outdoor pool. The hotel offers a guest laundry facility, a business center, and an onsite theme park ticket desk for your convenience.